As we discussed yesterday, the Irish people have remained committed to holding the ignoble status of a Western country prosecuting people for blasphemy with its sister jurisdictions in Iran, Saudi Arabia and other repressive governments. Even when the Irish government seeks to avoid the obvious denial of free speech under its blasphemy law, it only makes the entire country look even more ridiculous. That is the case with the decision to drop the criminal investigation of famous actor Stephen Fry. In a television interview, Fry merely asked why he should “respect a capricious, mean-minded, stupid god who creates a world…. full of injustice.” He was asked about his view of religion and he answered. A citizen then said that, while he was not insulted, the comment still constituted blasphemy and should be investigated. Now the police have said that they decided to drop the investigation after concluding an insufficient number of people expressed outrage. So the Irish have the perfect free speech nightmare law: whether you will be prosecuted will depend how many people want you incarcerated. Sounds like criminal law by plebiscite. The concern is not that a person was put under investigation because he expressed his view that God is “capricious”, “mean-minded”, “stupid” and an “utter maniac.” No the problem is that the police did not have some overwhelming response like an American Idol version of the criminal code. It is like saying that we do not have mob justice because a mob never formed. But if you mention that 2 million non-Jewish Poles also died at Auschwitz you are subject to arrest in the EU as a Holocaust denier, something that infuriates Poles. That’s not denying the Holocaust or hate speech but it still had lead to summons and fines. Some groups have more clout than others at times. To whom has that happened? IIRC, I think about 3 million gentile Polish citizens were killed during the 2d World War. I’d be very skeptical that 2/3 of them died at just one camp. dss – remember that the Soviets controlled about half of Poland. They murdered anyone who might oppose them. Comey has been fired. See wikileaks. 1981, Harold S Kushner, a Conservative rabbi, addresses principal problems of theodicy. When Kushner’s 3yr son was diagnosed with a degenerative disease that meant the boy would only live to early teens, Kushner was faced with one of life’s most difficult questions: “Why, God?”. Years later, Kushner wrote this contemplation of the doubts/fears that arise when tragedy strikes. Kushner shares his wisdom as a rabbi/parent/reader/human-being. Kushner’s book offers thinking/consolation in times of sorrow. BTW, I take no position other than in support of the unequivocal Right of Free Speech. This actor played a Russian oligarch on the HBO show, VEEP, last week. Freedom of speech is a principle which derives from constitutional processes (democratic processes, you’d say in most countries nowadays). It does not (and cannot) apply in an unqualified way in a world where people live in agglutinated settlements with limited common space, where there is a distinction between political life and the rest of life, and a distinction between public and private. A claim of ‘free speech’ cannot and should not protect you from prosecutions and suits for disorderly conduct, harassment, perjury, contempt of court, defamation, or disrupting the government’s mundane work process outside of courtrooms. The question at hand is what counts as obscene and what are attempts to treat as open questions what are closed questions in a given society. That’s a function of the human particular and no amount of thoughtless attitudininzing by DC academics is going to change that. Our problem in this country derives from the attempt of a small minority of cadres in gatekeeper positions to prevent people from discussing matters of public controversy. It does not derive from a residue of Ireland’s state as a Catholic society. People expecting the Irish courts to enforce standards enacted when you had a certain vigorous cultural consensus in Ireland are no threat to anything GW faculty care about. Higher education apparatchiki who make use of juvenile rabble to prevent discussion of their inane pet projects is a threat to what administrators and faculty hold dear. I like this part: “was simply a witness and not an injured party…” He witnessed god being offended? O.K. then I am definitely going to this man as a spiritual advisor because he has the DIRECT link! Impressive!!! This is just like Berkley. God simply didn’t have enough academics and students willing to commit violence on his behalf. Well, maybe next time then god? Ireland has nothing to be ashamed of. With over a two thousand year history. Now the only English speaking in the E.U. Yes it does a blasphemy law! It was a shining star a generation ago. Now it’s the country of Peter Sutherland, Mary Robinson, and Slane Girl. The existence of a blasphemy law in any country is a outrage. Ireland should be collectively ashamed! Unfortunately, I fear the US will soon be looking at this type if law. Theocracy is on the move in the USA. The only god worshiped to any consequence in this country is government. Nobody worships government. They worship the libido, or certain cultural styles. Nonsense. Many believe ALL rights come from government. They may not “worship” them, but they most certainly will bow down to their will. Who believes that ‘all’ rights come from government (and why is that tantamount to worshiping government)?? The people have the power to control the government. Too few U.S. citizens are interested. That gives us runaway gov’t led by those who realize they can gain from their commandeering the government. Gov’t is NOT a god. Philosophically, I agree completely Nancy. However, the reality is those very same ignorant, apathetic and dependent citizens don’t share that view. They have the same right to vote as you and I. And if they as a majority hold the belief that government IS (and should be) the highest power in their lives, then we are back to square one. Only to people who have not bothered to contemplate how public life is actually conducted in this world. There are many real outrages. Some irritated viewer calling in a complaint about Stephen Fry is not one. 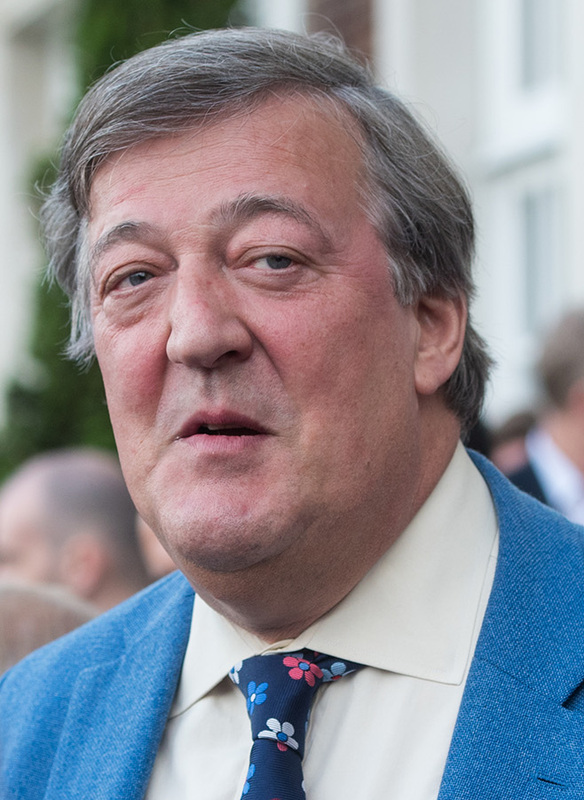 As noted, in a television interview, actor Stephen Fry asked why he should “respect a capricious, mean-minded, stupid god who creates a world…. full of injustice.” Many have pondered this very issue and assert that because of the rampant injustice that exists in the world that god must either not exist or god must be malevolent or stupid. As a public service, I thought that I might clear up this matter once and for all. First, we must understand that the planet we inhabit is not the center of the Universe. The reality is that the Universe is vast and is filled with many worlds unimaginable. Our planet is merely like a grain of sand, an insignificant speck among many. Our planet is but one of countless experiments in god’s workshop. As with any series of experiments, in which different ingredients and procedures are tried, each experiment yields different results and each experiment takes millions upon millions of years to unfold and play out. Our planet is still in the early stages of development, and the outcome remains to be seen, though things do not appear promising. Meanwhile, some of god’s worlds may be sublime and serene, some volatile and messy, some filled with hate, some with love, some with incredible intelligence and achievement, and some merely stupid, rotten, and corrupt. So what are we to make of our particular world? It certainly appears to be an interesting experiment, but overall represents but one of god’s many failures. Think about it for a few seconds. Human beings were designed with a waste disposal system that runs through a pleasure zone. Clearly, the design is flawed and our world is loaded with such blunders. In other experiments that god has undertaken, the designs are better and in still others much worse, though where we are specifically in the spectrum of experiments cannot, of course, be known. Eventually, in billions upon billions of years, god will finally get it right, through trial and error. Unfortunately, we are merely one of the many errors. But it will pass. All things do eventually. I’m not persuaded that Earth represents one of God’s many failures. I think it was created just to show that God has a sense of humor. Ralph Adamo – I just finished re-watching the British version of the Hitchhiker’s Guide to the Galaxy. Remember the earth was demolished 10 minutes before the question to the answer was found. And the Earth had been built and run by mice as an experiment to get that answer that was going to take at least 10 million years. As a public service, I thought that I might clear up this matter once and for all. I can never tell if some of the posts here are straight pieces. Is it time to amend the Irish constitution ? They have to plan ahead before the small problem grows into a big one. Can they reinstate the charges if more people are outraged? Count me in! Sounds like an FCC complaint. Colbert is being investigated because enough people were outraged by his comment to complain to the FCC. The squeaky wheel gets the grease. Complaining to the FCC is a lot different than a criminal complaint. I do hear there are some interesting complaints to 911. He is not being “investigated”. The FCC reviews every complaint that comes in to them. Please don’t spread fake news. FFS – the FCC does not investigate unless there are enough complaints. If there was only one complaint and they investigated, they would be so busy they never get any thing done.